Philip Green is a business tycoon from Britain. It is due to his audacious life style and aggressive business techniques he has become a billionaire much faster than anyone of the British history. He is the CEO of Arcadia Group, a top retail giant which includes BHS, Dorothy Perkins and Top Shop. 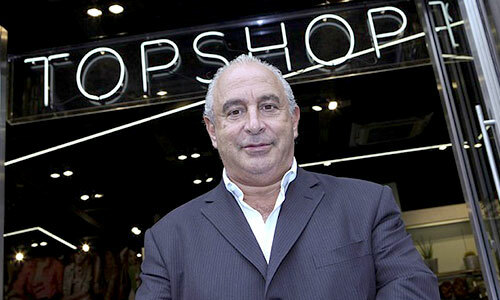 Philip Green had to take over their family business at the age of 12 when his father expired. He left his schooling at the age of 15. He started working with a shoe importer and travelled to Far East, US and Europe. After his return from Far East, he started his own business of selling jeans to the London retailers. He imported these clothes from Far East. In the year 1979, he bought some new clothes at very low rates and a new place to sell the clothes himself rather than selling them to retailers. He opened a shop of his own in 1979. In the year 1988, he became CEO and chairman of Amber Day. Initially the company and its shares performed well but later he had to resign the company in the year 1992 as he could not give the expected profits. In the year 2002, he sold off Arcadia Group to Tina Green but he was still acting as the CEO of the company. Philip Green was the son of Jewish retailer and developer. 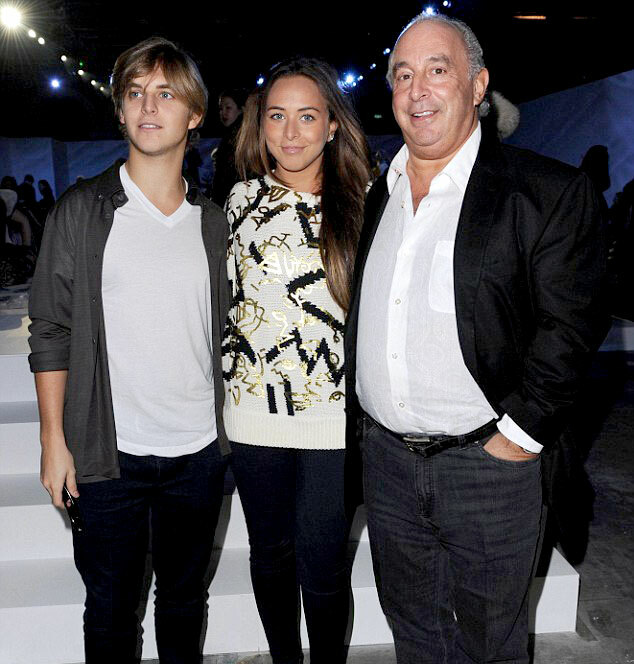 Elizabeth is the elder sister of Philip Green. She was five years elder to him. Philip Green is married to Tina Green. She is the owner of Arcadia Group. Born – 2nd March 1991. 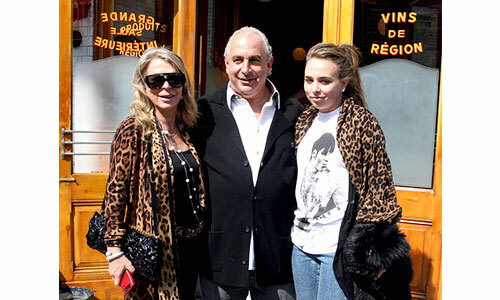 Chloe Green is the daughter of Philip Green. She is an actor. She acted in the TV show Made In Chelsea. Greens’ Net worth together is currently $5.4 Billion. Philip has a 208 feet Benetti Yacht Lion Heart. He also owns a private jet Gulf Stream with £20 million. He was gifted solid gold Monopoly set by his wife Tina Green. Philip Green lives a lavish life style – flies only in his private jet, throws parties to friends and family with top class entertainment. But it was not his lavish life style but his tax avoidance issues that attracted people more.